Emergency Food Assistance: Did you lose food because of the power outage? Were you recently affected by the power outage? There is help if your food was spoiled and had to be thrown away. If you lost food during the outage and need food for your family, food pantries can help. Any eligible member of the community can go to a Food Gatherer’s pantry site for food if they are in an emergency and need food immediately. Emergency food resources are intended for those who do not have financial resources for food, and only provide a few days’ worth of food. Food Gatherers has a great list of food pantries and resources. Here's a link to their searchable directory. You must visit your local DHHS office BEFORE or ON MONDAY, 03/27/2017 and request a 601 Affidavit. The 601 Affidavit if printed at the local office and asks you to list the food you lost. The form is returned to the caseworker and you should receive a notice with about 10 days. You are eligible for extra assistance up to the amount of your monthly benefit. If you get $16/month, you will only qualify for $16. 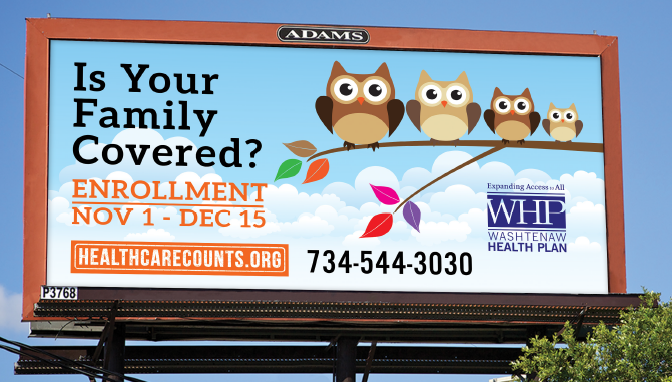 If you have a big family and your benefit is $600, you could qualify for up to $600. Your caseworker can request proof that your power was out. In Washtenaw County, DTE has provided a letter to DHHS listing all the affected zip codes. Here is a link to the letter. Here are the zip codes: 48105, 48108, 48109, 48108, 48118, 48130, 48158, 48176, 48189, 48191, 48197 and 48198. If you are in Wayne County, your DHHS office received a similar letter. If you currently do not receive food assistance from DHHS, you can still apply for help. If you are not currently receiving food assistance from DHHS, your best bet is to visit a food pantry. You can apply for assistance from DHHS by filling out an SER application. SER application in English. SER application in Spanish. You are eligible for $3 per person per day. If you have a big family, it might be worth it to fill out the application. You can also go to the DHHS office and they can assist you with the application. You must apply before or on Monday, 03/27/2017. Interested in Food Policy? Check out the Washtenaw County Food Policy Council! "I filed a hearing. Now what happens?" You disagreed with DHHS and filed a hearing. Here is a brief explanation of what happens next. Call Legal Services to see if you qualify for legal services to represent you. For Washtenaw County, contact Legal Services of South Central Michigan (LSSCM). LSSCM provides provides general civil legal services to low-income and senior citizens of Barry, Branch, Calhoun, Clinton, Eaton, Hillsdale, Ingham, Jackson, Lenawee, Livingston, Monroe, Shiawassee, and Washtenaw Counties. To find help in other Michigan counties or elsewhere, Legal Services has a searchable map. Then you start the process with the DHHS office. You may receive a phone call from your caseworker or supervisor. (You also may not receive a phone call.) The DHHS representative may explain why you were denied and/or try to talk you out of filing a hearing. They may agree that there is an error and say they will fix the problem. Sometimes, they say they will fix the decision, you just need to "withdraw the hearing." Do not withdraw the hearing unless you agree with DHHS's decision after an explanation from the caseworker or supervisor. If they agree there is a problem and say they will fix the problem, wait until the DHHS caseworker provides proof they have fixed the problem to withdraw the hearing. When you withdraw a hearing you are agreeing that DHHS has made the right decision and you cannot appeal that decision again. DHHS will schedule a Pre-Hearing Conference. This meeting is a chance for you to explain the reason for your request for hearing, present any documents and see if the dispute can be resolved before the hearing. Typically these meetings are with your caseworker and their supervisor. If you are correct and DHHS says they are going to correct the decision, do not withdraw the hearing until you have received a new determination letter or case action notice. You should also confirm the changes have been made. You may receive a summary in the mail but until you withdraw the hearing or the hearing takes place, your full hearing is still being scheduled. You do not have to attend a pre-hearing conference, and if you don't attend--or if you attend but no agreement is reached--the appeal continues to a full hearing. The Hearing is a formal meeting with an Administrative Law Judge (ALJ). You can request that the hearing be in person--otherwise the ALJ may call in. Typically the caseworker and supervisor are in attendance. You are allowed to bring legal representation or a case advocate from a nonprofit, and in some cases Legal Services will be able to represent you. You can also request accommodations, such as a second language or sign language interpreter. Bring documents to support your case. The DHHS staff present their position, and then you will have a chance to present your position. The judge may ask you or DHHS staff additional questions. The ALJ will issue a decision. The ALJ will issue a decision. You will receive a copy of the decision in the mail. If your benefits were denied, you can reapply. If your benefits were reinstated, DHHS should comply with the judge's order in a timely manner. Bring any documents to the hearing you think might be needed to verify your income. If it is difficult or impossible for you to provide certain documents, be prepared to tell the Administrative Law Judge what you have done to try to get the documents that are needed. If you believe you have already provided all of the documents DHHS asked you for, the hearing is your opportunity to tell the ALJ what documents you provided, when you provided them, and how you delivered them to DHHS. Make sure you bring this information with you, along with anything you have that may show you already provided the documents. You are allowed to have a lawyer, friend or other person represent you at the hearing. Be prepared to spend most of the morning or afternoon at the hearing. Arrive at the hearing location 10 or 15 minutes before your hearing is scheduled. Dress neatly, like you would for a job interview. When you get there check in with the desk clerk. You will be sworn in. Answer the ALJ’s questions clearly. Ask questions if you don't understand what is being said. A DHHS employee will also have a chance to speak. When the DHHS worker talks, take notes. Don’t try to interrupt. You will have another chance to speak. The ALJ will wait until everyone has had a turn to speak before making a decision. Or, the ALJ may not make a decision at the hearing. You may have to wait to get the ALJ’s decision by mail. Ask the ALJ questions if you don't understand what the decision is or when you will find out. The hearing is your opportunity to tell the ALJ your side of the story and explain why your benefits shouldn’t be terminated or reduced. Read Part 1, Medicaid Appeals: How to File a Hearing. Find Legal Aid anywhere in the United States from Legal Services Corp. I Need to Appeal DHHS's Denial or Termination of My Benefits self-help online tool from Michigan Legal Help.